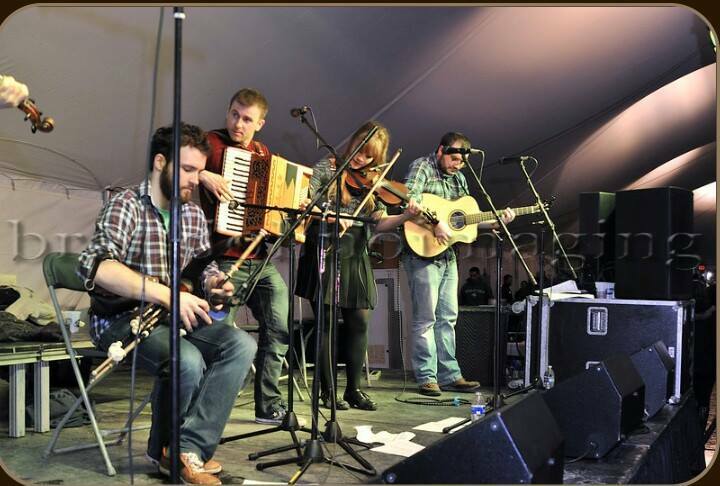 Déanach is a group of traditional Irish musicians hailing from Ireland, the United Kingdom and the USA. Featuring lively arrangements, foot-tapping tempos, and diverse musical styles Déanach will liven up the night with a range of traditional jigs, reels, and songs. Déanach, meaning 'late' in Irish, was formed late in the night after a particularly good music session. The band combines the talents of the Hatfield Sisters with a diverse group of musicians from across the pond.